Texas Gov. 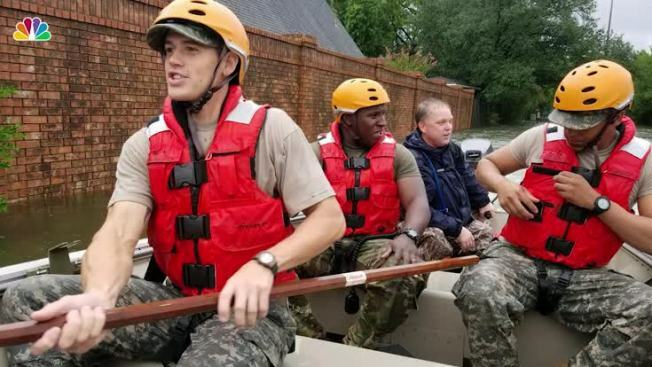 Greg Abbott Monday mobilized the remainder of the Texas National Guard in response to Hurricane Harvey, bringing the total number of deployed guardsman to roughly 12,000 people. Texas Governor Greg Abbott gave a briefing on the latest on Harvey Monday afternoon. Abbott mobilized the remainder of the Texas National Guard in response to Hurricane Harvey, bringing the total number of deployed guardsman to roughly 12,000 people. On Sunday, Abbott mobilized 3,000 members of the National Guard and Texas National Guard and then filed a request with the Secretary of Defense to establish dual status command of both guards. Long said the storm remains a dangerous situation and that there is a long response effort ahead. "FEMA was here before the storm hit, and we will be here as long as needed, actively coordinating the full resources of the federal government, to support Gov. Abbott and the state," Long said. The governor's office issued a statement late Monday morning saying the new mobilization sends "those who are physically able, not currently deployed, preparing to deploy or in a combat preparation cycle to answer the call for help and assist their fellow Texans in need. All Texas Military Department personnel should report to their respective units for further instructions." On Sunday, Abbott said guard members were being positioned all along the Texas Gulf Coast. Along with the guard, Abbott said 500 vehicles, six shelters and 14 aircraft had been put into service. 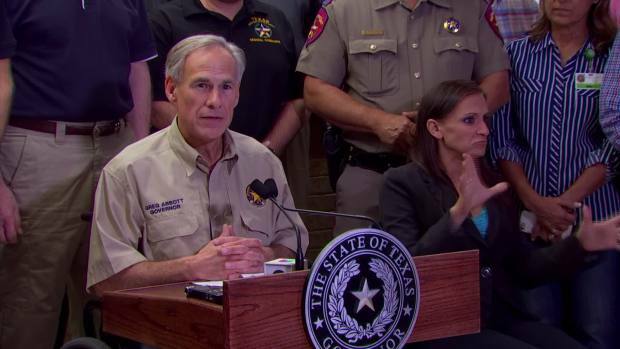 Also on Sunday, Abbott announced he added 12 counties to the Presidential Disaster Declaration list granted last week, bringing the total number of Texas counties on that disaster list to 18. Also, 50 counties have already been declared state disaster zones, 30 earlier in the week and 20 on Saturday. Four additional counties were added later in the day bringing the total on the state list to 54.